I haven’t used this modification myself but if you really want to stay on page when an item is added to cart and still want to capture the AddToCart Pixel Event then you can try using this modification. Disclaimer – It may not work for your theme (The only way to find out is by testing with The Facebook Pixel Helper created by Facebook). If this modificaiton doesn’t work for your theme, make sure to carefully remove all the modificaitons or unpublish the theme modified and replace it with a fresh clean copy of your theme. Go into your Shopify Back Office Admin Area and then click on <Online Store > then click on <Themes> and then click on the “…” in the top right, and then click on “Edit HTML/CSS” now go to the Assets section and open <theme.scss.liquid> Look for following section of code and modify the number in the bold red line below. Now test to see if it works to your liking on your slideshow. If it works then your done otherwise put back the original number to the way it was before you changed it. ? Go into your Shopify Back Office Admin Area and then click on <Online Store > then click on <Themes> and then click on the “…” in the top right, and then click on “Edit HTML/CSS” now go to the Assets section and open <theme.js> Look for following section of code and add the indicated line. pauseOnHover : false, // Add this line. How can I change the “Continue Shopping” Link Destination when you land on the Cart Page? Go into your Shopify Back Office Admin Area and then click on <Online Store > then click on <Themes> and then click on the “…” in the top right, and then click on “Edit HTML/CSS” now click on cart.liquid (you might need to go further if noted like it might say you need to go to “/sections/cart-template.liquid”) and then look for the “continue_shopping” code. Now the “Continue Shopping” link button will take you directly to your home or featured collection page! 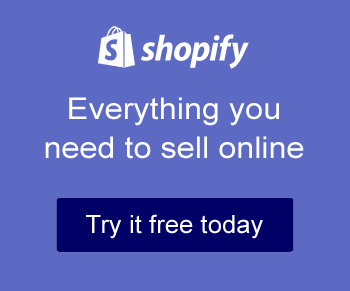 These are very powerful free mods you should be using on all your Shopify Stores. The Most Powerful Facebook Pixel Tracking App on Shopify!